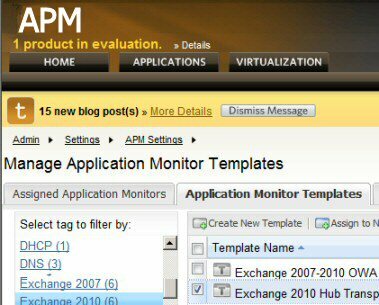 SolarWinds’ APM (Application Performance Monitor) is particularly useful for inspecting the services and processes on servers such as SQL or Exchange. My mission on this page is to get people started with investigating their servers’ apps and services. To help achieve this goal SolarWinds provide a simple idiot-proof setup for their application monitor. 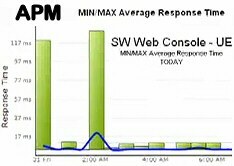 Once installed, APM provides an intuitive interface to check the performance counters on their servers. If there are any setting you cannot get to work there is support from SolarWinds’ lively Thwack forum. 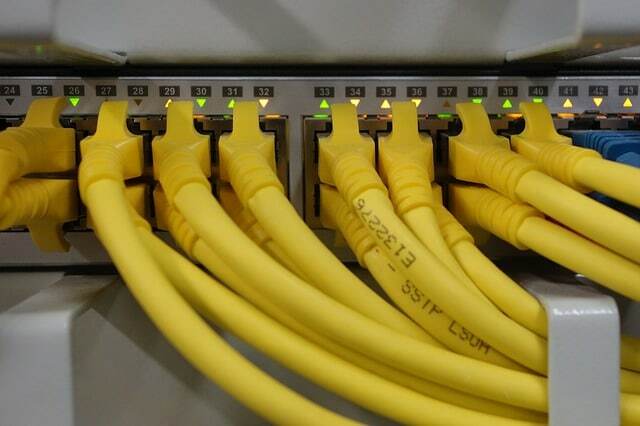 You need to troubleshoot a recurring network or server problem. It’s the root cause you seek, not just a work-around. Another reason for evaluating SolarWinds Application Monitor is that you are want to find out more about dependent services, both on the same machine, and how failure of one network server impacts others. You are curious to comparing your view of what’s going on in your network. Perhaps you want to take stock of your resources, or set a baseline before making changes. With APM’s performance counters you can scrutinize your computer empire. Guy bets that the dashboards will display an important service that you did not know existed. The fact that SolarWinds offers a free trial may tip the balance in favor of giving APM a chance. To my way of thinking, easy setup is essential for any software, therefore it constantly surprises me that so many products I test don’t live up to their ‘Easy to Install’ claim. Well, you will be pleased to know that I place the APM installer in the in the highest category of intelligent software. It sets about its business of getting the dashboard up and running with minimal user intervention. I was impressed the way it overcame such road blocks as, no IIS installed, no SQL available, and lack of .Net Framework. It simply installed and configured these components for me. What particularly pleased me was the way the APM installer mastered my Achilles’ heel, it started with a machine with no SNMP configuration, yet finished the installation with SNMP communities setup, all without asking me hard questions. In a nutshell, a computer phobic can get APM running just by clicking a few ‘Next’ buttons, while a computer expert can interact to adjust the configuration to suit their network. You probably won’t believe me if I tell you everything about the install was perfect. Well, I was irritated when APM asked for an email address half way through the install, but this was an evaluation copy so I guess it’s fair enough; and perhaps I was projecting my own shortcomings, I had forgotten which email address I used when I registered! The very first logon is always a stressful time. The initial APM screen would not accept the logon credentials of my stand-alone Windows 2008 Server’s account(s). APM’s saving grace was a message saying, logon with the name of ADMIN and no password – fortunately for my blood pressure this built-in Admin account worked with a blank password. Footnote: If these were the only problems, then install is not going to give even a beginner any difficulties. The underlying operating system should be Windows Server 2003 or Windows Server 2008 R2. (The plain, or original Windows Server 2008 may not work unless Microsoft has fixed a bug.) APM is also going to need IIS, SQL, SNMP and .Net framework 3.5.1 or later, but the good news is its installer has built-in routines to find the necessary files, then configure these extra services; the result is APM setup proceeds without user intervention. Naturally in a production network you will want to configure SNMP and SQL before you install APM. As for hardware, if you are running a Windows Server then APM has no extra memory or processor requirements. The amount of free diskspace install needs is trivial, or put it this way, if your server is down to its last 50 MB of free diskspace, then you are in trouble anyway. If you’ve glimpsed the interactive APM demo at SolarWinds site, then you may have extrapolated how its dashboard could be used back at your base, perhaps you can visualize checking the green or red dots of the nodes representing your services. However, before you reach that state of nirvana, decide which of these goals you want to achieve with APM. a) Focused mode: You have the urgent need to solve a specific server problem. I should not say this, but the greatest fun for the techie is when something is wrong and you can perform an easy fix with a clever utility. With APM you start with a top-level network map and drill down through the red dots to discover more about the symptoms. My favourite tools are the User Experience Monitors, which assess the Quality of Experience (QoE). If the performance is lower than expected you can check whether it’s due to a process that’s hogging the CPU, or an application on a server that’s run out of resources. b) ‘Play mode’: You just want to evaluate the settings by running this program through its paces. You are curious to see what APM has discovered about devices and services on your network. When I was an IT trainer I often introduced myself by saying my role was to make myself redundant. Well, I if I have persuaded you to download and install, my job is over, as this is such an intuitive product you can teach yourself the rest. 1) Seek out the Monitor Templates. Why re-invent the wheel? Experimenting with different templates will help you understand APM’s mind-set, researching more templates will complete the picture of what APM can achieve. 2) Don’t just look at SolarWinds Thwack support forum, but register and ask your questions. This is one of the best run forums on the internet being both specialist and responsive. As someone who once flirted with running a forum, I admire how they keep it free from spam. As an APM user I admire the way their experts answer the questions – the harder the problem more they seem to relish finding a solution. See also a Demo of NPM (Network Performance Monitor). If you don’t see an application that you are interested in don’t worry, you could create your own app, but before you do that I would look in the Thwack forum to see if someone has already beaten you to it! 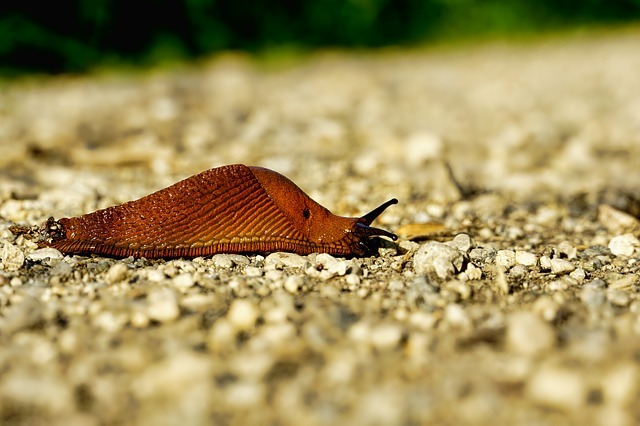 See also an insight into application monitoring. By using APM you will avoid amateur mistakes such as blaming the network for latency problems, when it’s really an application on a server that is underlying cause. Perhaps your company whiz-kid introduced a new VoIP or wireless network, but did not realize the consequences for the rest of the corporate network? Again APM will soon troubleshoot the root cause, and more than likely suggest solutions. Often the most frustrating problems are those that appear only sporadically. For these annoying intermittent challenges has an analyzer with retrospective network-analysis capabilities. This historical data enables you to quickly isolate and resolve the irregular network problem. I really enjoy customizing the lists so that monitors in just the way that I want. It soon becomes second nature to double click on the network maps and drill down through the site level to the server. From there you can even examine the resource usage of individual devices. However, you are newbie, this ability to locate problems is awesome and it feels like being at NASA’s mission control in Houston Texas. SolarWinds APM ships with a MIB database that covers all common network devices. 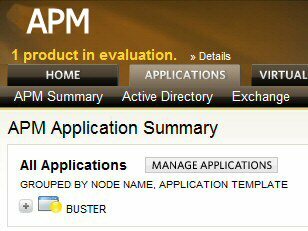 However, if you do have a non-standard APM allows you to create a custom poller to monitor any SNMP-enabled device value that has a MIB. As with so many of Orion’s features, you can also adjust how the module collects and reports on the data. For those with wireless networks, version v10 now has an integrated Wireless Poller. And for those with VMware, APM reads host MIB information from each VMware ESX server and its corresponding virtual machines. Application Performance Monitor (APM) allows you to fine-tune who sees what information. Typically, at HQ you want to see everything, but perhaps you want the team at the Boston site to see only their own servers, and not start interfering with the New York operations. It would probably be over-playing your hand to say to your MD that energy savings will pay for APM, but nevertheless, controlling the energy consumption of Cisco EnergyWise-enabled network devices will reduce costs, and could be a clincher in persuading the financial director to buy Orion. For the techie it’s just an interesting and worthwhile challenge to reduce energy consumption and keep the server rooms cooler. No appraisal of SolarWinds Orion APM would be complete without a word about baselines. Indeed, creating baselines of network activity is a good litmus test for a well-run company. Thus, one unexpected side-effect of using APM is that the techies could have more time on their hands! As a manager you can take advantage by commissioning them to show you baseline charts. The trouble with fire-fighting is that you are never quite sure what is normal. By having a ‘feel’ for the network backed up by stats for off-peak usage, you can soon pin-point abnormalities. As a result you can either prevent latency problems, or else cure them quickly before the users realize there is something not quite right. To support this pro-active approach to network management provides reports which are both comprehensive and interesting for the techie. 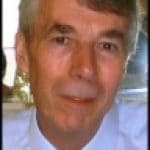 One common side-effect of baseline analysis is that ideas for improvements leap out of the charts, for example, load-balancing servers – one of my favourite ‘cost nothing’ tactics. It’s only fair to point out when reviewing SolarWinds performance monitors is that the full package represents a big investment. Indeed, there are cheaper performance monitoring packages, but they don’t have the data collection and storage capacity of APM. Actually, my biggest discriminator in determining whether a product is cheap or expensive is the quality of the support staff. Some people say is expensive, but nobody complains about the troubleshooting skills of SolarWinds’ technical staff. More good news is that SolarWinds offer of a trial version of APM so that you can see if this performance monitor really would save you money in the long run. Another way of reducing costs is to select only the APM modules that you need. Once you see the benefits, particularly if you are trying to track multiple sites, then it’s easy to justifying adding more options later. One hidden benefit of is that all the modules integrate with each other, which makes it so much easier for reporting and root cause analysis. Also most rival products don’t supply the level of detail that you get by drilling down through the Network maps. 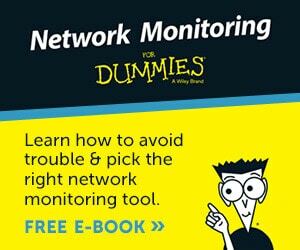 Application Performance Monitor is ideal for troubleshooting network trouble spots. When I tried he APM I was surprised how there was to learn about network technologies, fortunately the APM helped me understand and appreciate how devices communicate. 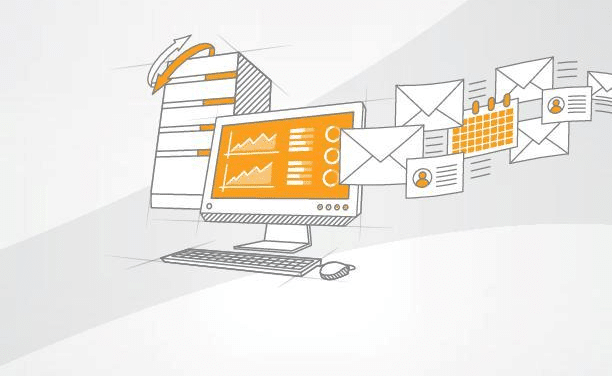 If you are reviewing performance monitors, then take advantage of SolarWinds offer to.